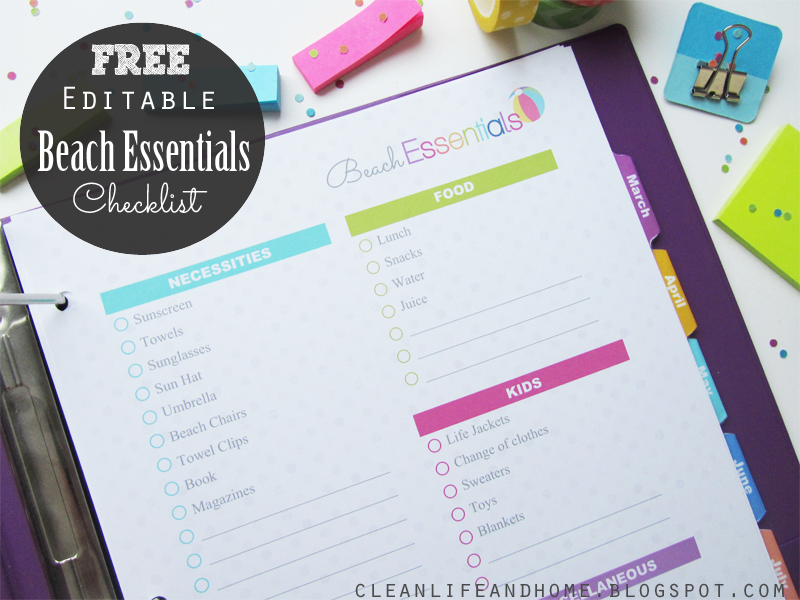 Clean Life and Home: Freebie: Editable Beach Essentials Checklist! 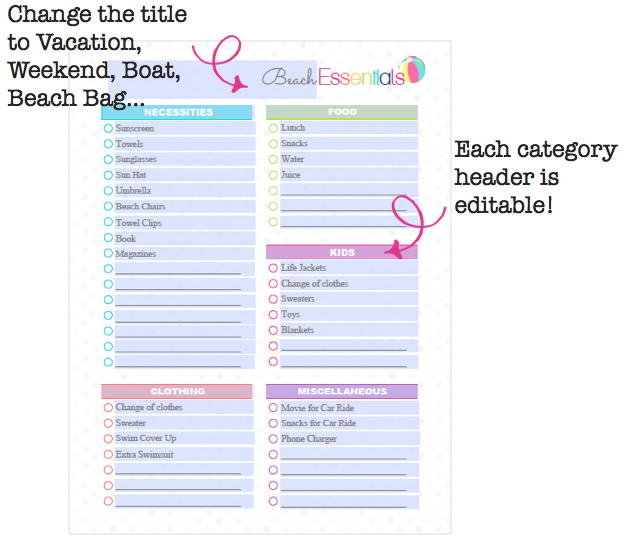 Freebie: Editable Beach Essentials Checklist! You can use the editable fields by opening this PDF file in Adobe Reader or Adobe Acrobat. Each blue field can be changed (blue will not print, font and color, unfortunately, cannot be changed.) 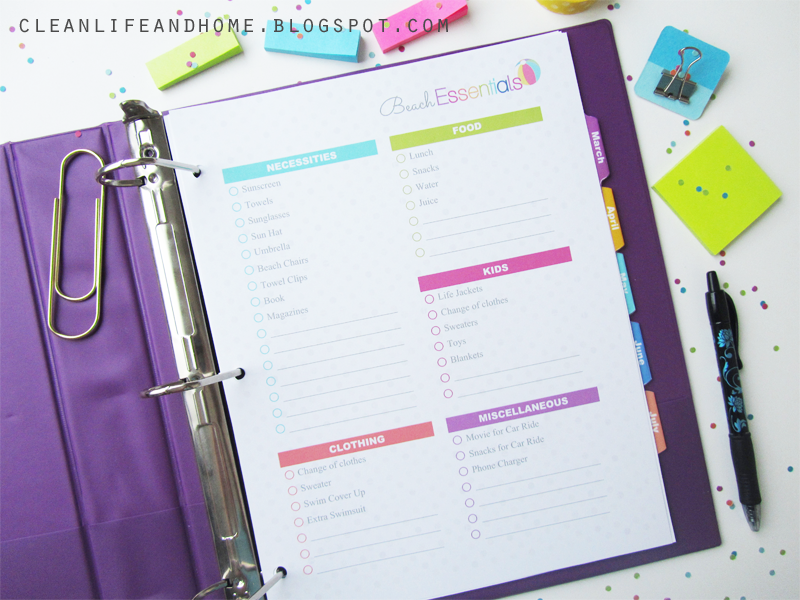 Create a custom checklist for a weekend or laminate it and use it again and again! You can create blank spaces like I did here to use for last minute additions or fill the entire list in before you print! Like I mentioned above, you can change the title and categories so this checklist can be used for anything you like! I designed this page with a tropical color scheme, very light gray polka dot background and a fun beach ball detail! FREE Editable Beach Essentials Checklist - Letter 8.5" x 11"
Thank you so much, these free printables have made my day!